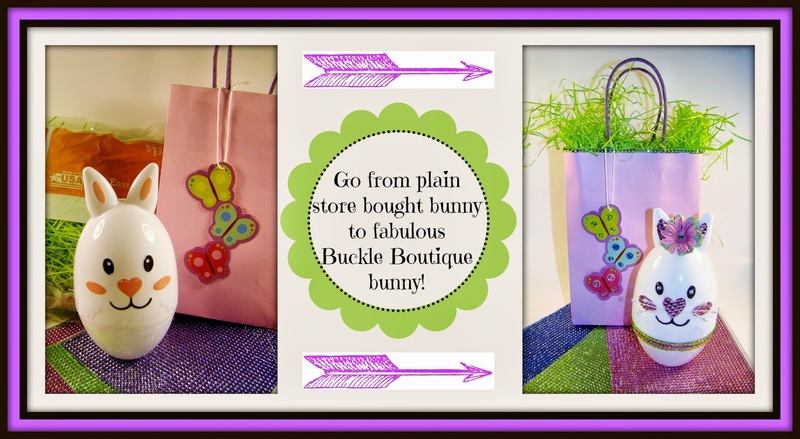 The Buckle Boutique bunny box and gift bag! Feast your eyes on this adorably blinged out Easter bunny!!!! 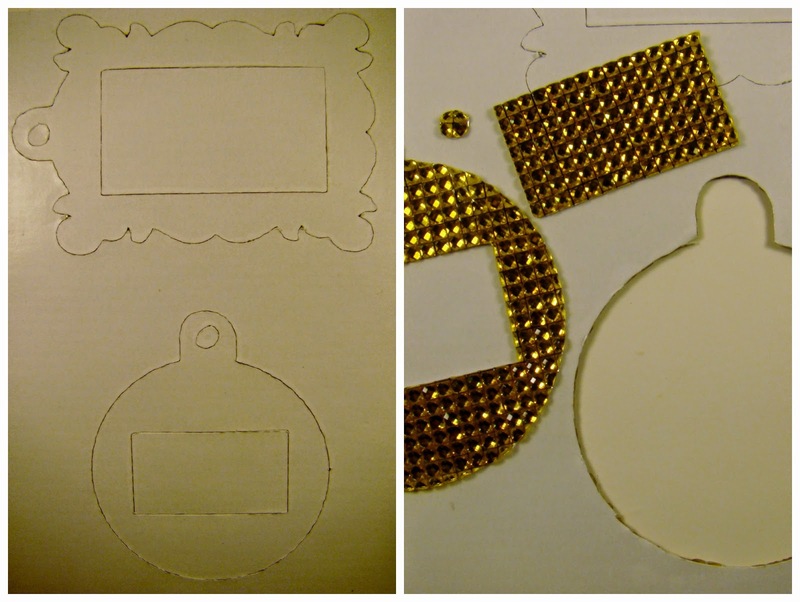 It was so easy to do since the rhinestone sheets are self adhesive! 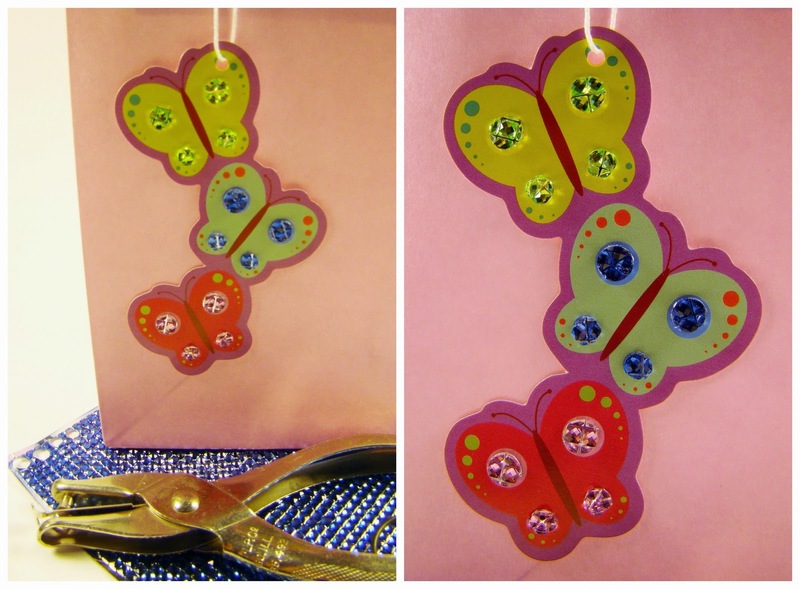 I had so much fun using my punch that I punched out some matching rhinestones to adorn the butterfly tag that came with the gift bag. And it was super easy to cut a strip of green rhinestones to trim the bag with! How easy to jazz the simple bag up!! I just loooooooooooveeeeeeeee how she turned out!! Get your own rhinestone sheets and enjoy in on the blingy fun! My Helmar post is up today, can you guess what it is? If not, hop on over to the blog and check it out!! Reverse stenciling, it's fun...go figure that one day I would be spraying ink onto the stencil instead of through it...but I kinda like the result. I'm up over on the Sin City blog today with some heart tags I created to along with some gift giving for Easter. Hop on over, will ya? And over on the Arnold Grummer blog I have a video that I promised showing how easy it is to paper cast your own bowl....and I threw in a little Wabi-Sabi philosphy with some kintsugi art. Hi everyone, this is my first post for The Buckle Boutique! 2. They have awesome sticking power! 3. AND you can slice and dice right through them!! I followed the cutting instructions for using the sheets with my Cricut. Link for cutting instructions is at the bottom of this post. round one cut at 2 3/4"
scalloped tag - 2 3/4 x 3 3/4"
LOVE how they come out! Next I peeled back the adhesive from the sheet and used the insert to cut out a piece of acetate for the tag making sure to leave one end covered with the adhesive backing paper so that it stays open where I can slide my information in and out of. 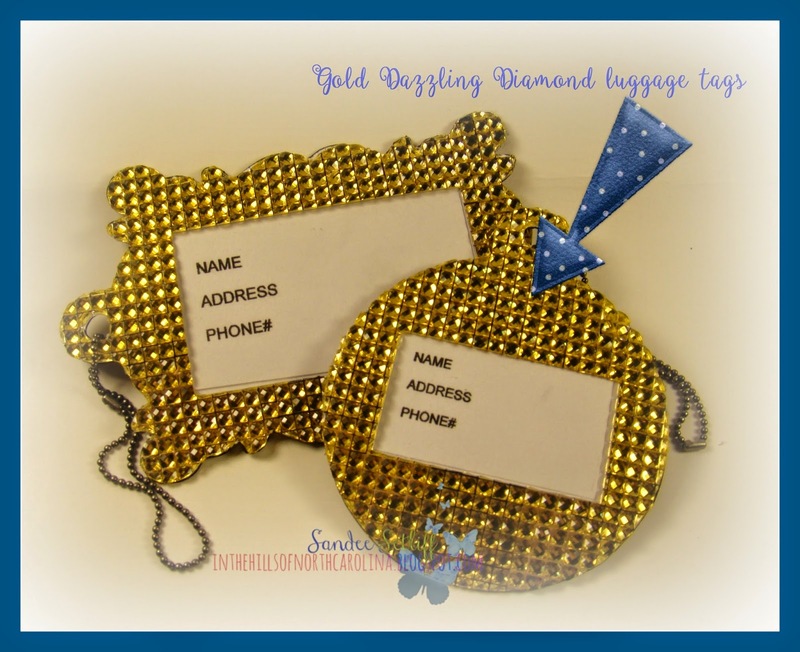 Next is just layering, The front of the tag ( Dazzling Gold Rhinestones ), the middle layer is white card stock, (which you could omit if you want to), and the third layer is the back of the tag ( DCWV from the Stardust Stack). This is my first official project for the team! How did you like it? If you want to try and win a sheet of the rhinestones then you can enter the giveaway. Hurry though, it closes on the 14th! hidden secrets and hidden supplies! is there anything behind the magnet? Well, yes there is, thank you for asking...but this secret is one I don't share with anyone in my "real life"...it's a record of my weight loss....lol I would die if they peeked! Before I made my new motivational magnet, I hid my weight loss records behind a measurement magnet ( there is some irony there, don't you think? ) lol And the old motivation was written on a post it note. Not very fancy or cute, I think the finished version is much better. Please go check it out! 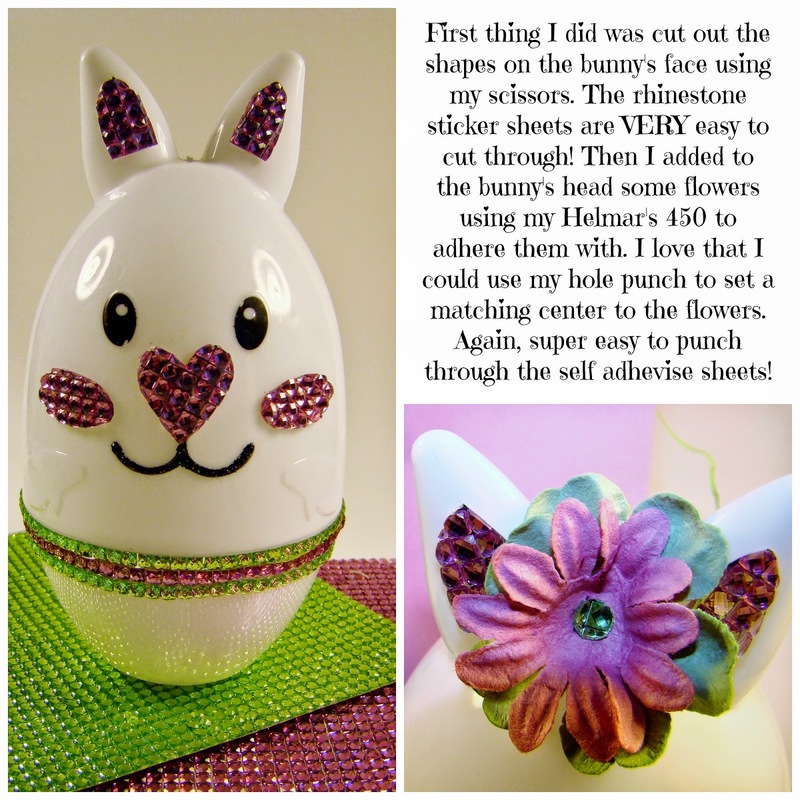 And over on the Arnold Grummer blog I created an Easter diorama out of a hand casted paper bowl. And what is my special tidbit about this you ask? It's about me...organizing myself into chaos! and then I spied it.....if it was snake it would have bitten me....I even labeled it!! Do it ever cross your mind that we have too much stuff? I truly was stumped with what to do with it after I made it....and I posted it over on my art Face Book page which by the way, I would love for you to go over and like the page. I'm not expecting you to buy anything but the amounts of likes increases my professionalism....don't laugh! So if you're interested in what I made with my corn cob bowl, lol Please take a moment to pop on over to the Arnold Grummer blog and while you're there, please leave me a comment...I'd like for them to know you stopped by! Recently I joined The Awesome Ladies over at Rukristin. They have a monthly challenge and I thought I'd join in...Join up, it's free! I really like layering stamped images that I cut out. A closer look at the tiny sequin hearts. I have recently joined a new Design Team: The Buckle Boutique which specializes in Rhinestones and other exquisite embellishments for stationery, events, floral and crafting. Want a chance to win a sheet of their rhinestones? And a free art bin tote? 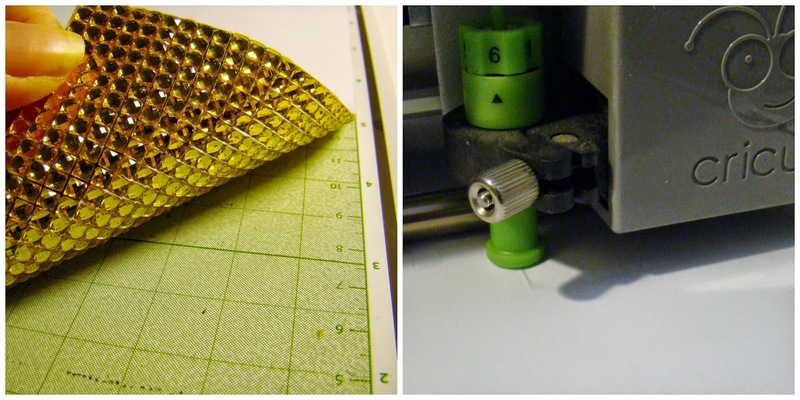 Bling Your Bin Project and Giveaway!